Rod Beckstrom: Consumers will choose the "winners" and the "losers"
Blast from the past (published on Aug 18, 2012): Rod Beckstrom, CEO and President of ICANN, and Kurt Pritz, Senior Vice President of ICANN, discuss establishing a broad array of new generic top-level domains. 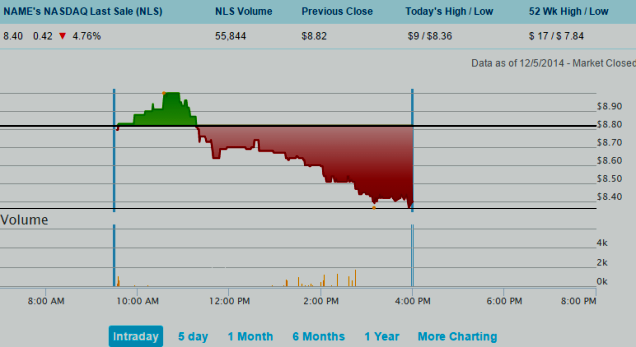 ICANN Floods the Market -- That's a competitive marketplace! And of course, we now know ICANN compromised Internet stability and security with the new gTLDs. Hell of a way to run the global Internet DNS! But remember, for ICANN, the new gTLDs (new generic Top-Level Domains) were never about what is in the public interest, instead, it's all about the money! 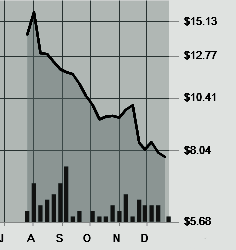 Moral of the story: "Buy into the new gTLDs (new generic Top-Level Domains)--and lose your money!" But of course, Domain Mondo warned you all about this. ICANN has admitted it compromised the security and stability of the internet in its expansion of new gTLDs--ICANN CTO David Conrad told The Register that ICANN "struck a balance between fostering innovation and competition [by introducing over 1000 new gTLDs into the DNS] and maintaining the stability and security of the network... the approach we agreed upon was a reasonable compromise." "There have been domain name collisions that have resulted in network interruptions for enterprises... There have also been cases where confusion and usability with the new top-level domains [new gTLDs] have led to phishing attacks... if the root DNS server systems become unstable in some manner, it could lead to the fragmentation of the Internet"... new gTLDs may not necessarily work deterministically across the Internet, as some carriers or organizations may choose to only support their own view of the Internet domain name space... "Unless you do a qualitative analysis and give people fair warning, some [new] gTLDs will be locked," he said... (source eWEEK, supra, emphasis added). Domain Mondo previously reported on these failures of new gTLDs (which ICANN euphemistically refers to as a Universal Acceptance problem): see ICANN, New gTLD Domain Names, Universal Acceptance Another #FAIL (14 October 2014). Of course, when it comes to new gTLDs, it seems ICANN doesn't really care about the public interest nor, apparently, internet stability and security-- it's all about the money! Based on the above, domain name registrants need to be aware that some new gTLD domain names may not "necessarily work... across the Internet"--caveat emptor! ICANN's technical competence queried by Verisign report • The Register "Verisign has called into question the technical competence of domain name overseer ICANN." Barry Ritholtz interviews William Grueskin, former managing editor of the Wall Street Journal Online, and former academic dean of the Columbia School of Journalism. (Since the interview, Grueskin has joined Bloomberg as executive editor for training.) Discussed are the challenges of competing against “free.” Grueskin witnessed the transition of the Wall Street Journal under Rupert Murdoch and discusses some of the changes. From his unique vantage point, he has observed how the business of journalism has evolved since the advent of the Internet and digital technologies. We discuss the substantial financial pressures on the dissemination of news that are changing the role of the press in a democratic society and imagine what journalism might look like in the future. Investors from around the world were suckered in by a website called SecureInvestment.com, which masqueraded as a managed Forex fund, before vanishing in May with millions of dollars. Bloomberg Markets magazine broke the story. Bloomberg's Willem Marx reports. 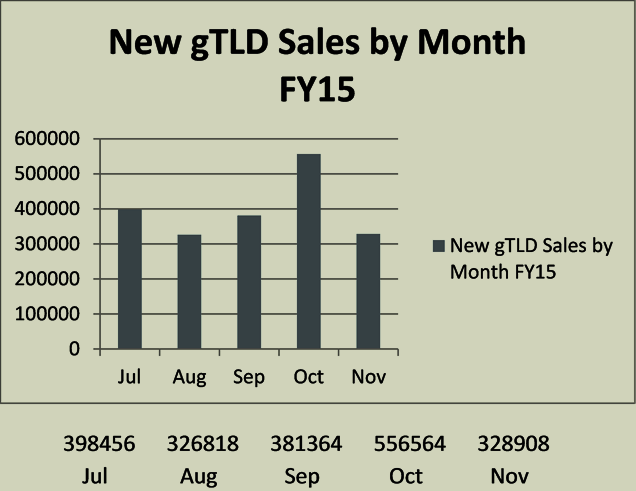 Meanwhile new gTLD registry stocks have been BIG LOSERS in 2014 (see below). 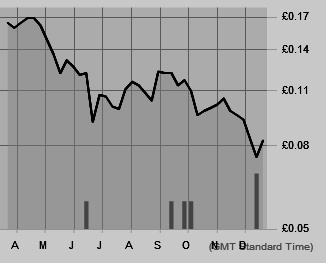 Apparently, just as new gTLD domain name registrations have been disappointing, and falling, investors on Wall Street and in London aren't buying the ICANN new gTLDs' hokum either! Comments on the Cross Community Working Group (CWG) On Naming Related Functions Public Consultation on Draft Transition Proposal (concerning the IANA Stewardship Transition) were closed as of 23:59 UTC, 22 Dec 2014. All comments can be found and read on the forum: http://forum.icann.org/lists/comments-cwg-naming-transition-01dec14/ including that of Domain Mondo's Editor, John Poole. The Oatmeal was temporarily shutdown by ICANN: here’s how to avoid having this happen | Name.com Blog: 31 Jul 2014 "... Today, however, we were shocked and saddened to see that The Oatmeal had been taken down. One of the most popular websites on the ‘Net had been eviscerated. The content was gone; the enlightening and hilarious glow darkened. What happened? Well if we were shocked it was down, we were even more surprised the site wasn’t resolving because of one simple little task: ICANN Verification. (We said ‘simple’ but we’re not going to say it’s not annoying.) We’re also very happy that we can help. To avoid waking up to your website disappeared by the international agents of ICANN, here’s the scoop on what ICANN verification is and how you verify your domain...."
Full video interview of Jeff Bezos, Amazon CEO, by Henry Blodget of Business Insider, including discussion on the criteria Amazon uses to expand into new businesses, the pay and perks of employees, and why Jeff Bezos bought The Washington Post, book controversies, Amazon phone flop. Amazon (principal domain name: amazon.com) is also an ICANN new gTLD Registry (Amazon EU S.à r.l.). ICANN has announced a "Solicitation of Statement of Interest for Membership in the Root Zone Key Signing Key Rollover Plan Design Team:"
ICANN, as the IANA functions operator, in cooperation with Verisign as the Root Zone Maintainer and the National Telecommunications Information Administration (NTIA) as the Root Zone Administrator, together known as the Root Zone Management (RZM) partners, seek to develop a plan for rolling the root zone keysigning key (KSK). The KSK is used to sign the root zone zone-signing key (ZSK), which in turn is used to DNSSEC-sign the Internet’s root zone. a Design Team to develop the Root Zone KSK Rollover Plan (“The Plan”). These volunteers along with the RZM partners will form the Design Team to develop The Plan. North Korea, Sony Cyber Attack, Sanctions? What is to be done about North Korea? "Technical analysis of the data deletion malware used in this attack revealed links to other malware that the FBI knows North Korean actors previously developed. For example, there were similarities in specific lines of code, encryption algorithms, data deletion methods, and compromised networks. The FBI also observed significant overlap between the infrastructure used in this attack and other malicious cyber activity the U.S. government has previously linked directly to North Korea. For example, the FBI discovered that several Internet protocol (IP) addresses associated with known North Korean infrastructure communicated with IP addresses that were hardcoded into the data deletion malware used in this attack. Separately, the tools used in the SPE attack have similarities to a cyber attack in March of last year against South Korean banks and media outlets, which was carried out by North Korea...."
So far North Korea is the winner. Sony Pictures Entertainment has been bullied into pulling its "offending" movie--completely caving to state sponsored cyber terrorism--so much for free speech and internet freedom. One thing we know about a bad actor, a bully, a rogue state, is that they are only encouraged by this type of response. Next victim? Another company, an electric utility grid, a nation state that happens to displease the Great Leader, or the internet or DNS itself? ICANN itself was reportedly the subject of a recent cyber attack. So far, the response of the global internet governance community has been less than satisfactory. In 2012, millions of Americans rose up to help defeat the Stop Online Piracy Act (SOPA). The public sent a clear message to Congress: don't censor the web. Now movie industry lobbyists at the MPAA are trying to resurrect web censorship via a back door. As revealed in the press, they've organized a campaign to achieve SOPA by other means, and are still more than eager to break the way the Internet works to achieve their agenda. The MPAA was worried this strategy would "invigorate and galvanize ... the SOPA debates." Let's prove them right! Together we defeated online censorship once—let's do it again. Share this graphic and tell the MPAA to kill the #ZombieSOPA. The MPAA needs to know that all of us who truly care about the Internet won't just stand aside and let them ruin what we love. Domain Mondo encourages readers and all users of the internet to "step up" and help defeat online censorship--please share the graphic at the link above. *The PEG continues its search for an Advisor who will bring expertise in International Law/Jurisprudence and will strive to select this Advisor as soon as possible. Once the PEG has concluded its work, it will no longer be active in the Enhancing ICANN Accountability Process. The members of the PEG are: Ms. Jeanette Hoffman, Director, Alexander von Humboldt Institute for Internet and Society; Ambassador Janis Karklins, Latvian Ambassador. Chair of the Multi-stakeholder Advisory Group (MAG); Mr. Larry Strickling, NTIA Administrator and Assistant Secretary for Communication and Information of the U.S. Department of Commerce; and Mr. Brian Cute, Chief Executive Officer, Public Interest Registry [source and for further info: ICANN]. The story about an egregious UDRP case is hardly unique, but it is illuminating about how ICANN operates and fails, time and time again, in its mission, policy-making, implementation, coordination, and oversight roles. You can read the dismal details and how broken ICANN's UDRP policy (and its implementation) is at the first link above, but this is all "typical ICANN stuff" which most knowledgeable domain name registrants have come to expect from ICANN and the SIPs (Self-important People) on ICANN's Board of Directors, as well as some members of the "stakeholder" groups. You know, those people who have the time and resources to fly around the world for multiple meetings every year, staying in luxury hotels, often paid for by ICANN (from domain name registrant fees)--just to meet and make more bad policies, which are then poorly implemented by ICANN and third-party contractors, with no oversight nor follow-up by ICANN's Board, staff, or stakeholder groups. Any wonder why ICANN is commonly referred to as ICANT? Ethics Fight Over Domain Names Intensifies - March 18, 2012 - NYTimes.com: "... the United States government is also dissatisfied with ICANN. The Commerce Department said it had canceled a request for proposals to run the so-called Internet Assigned Numbers Authority [IANA] because none of the bids met its requirements..."
And then there is dysfunctional ICANN mission drift--one would think with the on-going roll-out (and concurrent problems) of the largest expansion of the domain name system in history, as well as the multiple on-going processes concerning ICANN accountability and the IANA transition, that the ICANN CEO would have more than enough on his plate, but no, he has been spending his time (and hundreds of thousands of dollars from ICANN's budget) trying to "force" or "beg" the global internet community to join his ill-conceived, top-down, unwanted, unneeded idea for another global internet organization--the so-called NETmundial Initiative (not to be confused with the original NETmundial Conference held in Brazil--The Register: "ICANN has been criticized for its efforts to control conversations over internet governance while at the same time claiming to be open. The creation of the NetMundial conference earlier this year and its sister astroturf * organization, 1Net, was bankrolled by ICANN. It then used its clout to controversially change a key recommendation of the conference at the last minute. Some months after that conference, ICANN was again criticized when it announced out of the blue that it was partnering with the World Economic Forum to create the namesake "NetMundial Initiative"."). *“Astroturfing” is the practice of hiring a third­ party group to advocate for an issue, falsely giving the impression that the effort is a “grassroots,” bottom­up initiative [source: Strategy Panel: ICANN’s Role in the Internet Governance Ecosystem (pdf)--see footnote 109]. I kindly suggest to Fadi Chehade that he "call the whole charade off" and start "taking care of business" at ICANN. Acceptable answers might include: "I like to travel and stay in nice hotels, and ICANN is paying for my flight, hotel, and per diem expenses, to be here" or "I am (or my employer is) an ICANN contractor and I am here to 'game the system,' keep the money flowing, and increase profits." Those are just two honest answers out of many possible answers--someone could make a game out of this--The ICANN Game. emphasized the value of the annual Internet Governance Forum (IGF) and encouraged its ongoing improvements in line with the UN Commission on Science and Technology for Development recommendations. Urged renewal of the IGF’s mandate and the continuation of its work, according to paragraph 72 of The Tunis Agenda, beyond the end of its current mandate in 2015.
recognized the importance of the NETmundial Global Multistakeholder Meeting on the Future of Internet Governance hosted by Brazil in April 2014 which set common principles and important values for an inclusive, multistakeholder, and evolving governance framework. Both sides are committed to implementing the NETmundial roadmap. welcomed the multi-stakeholder community’s engagement on efforts to address accountability of the Internet Corporation for Assigned Names and Numbers (ICANN) and transitioning the stewardship of the Internet Assigned Numbers Authority (IANA), recognizing the positive progress of these two interrelated initiatives." "The two sides look forward to the UN General Assembly ten-year review of the World Summit on the Information Society in 2015. They both believe that the timing of the review is appropriate as the UN General Assembly will be finalizing a post-2015 development agenda, and the review will build on efforts to continue bridging the digital divide. The General Assembly’s recognition and allowance for multistakeholder participation in the review was appreciated, and participation from all stakeholders is strongly encouraged and welcomed. With the increasing relevance that cyber issues play in society overall, the United States and the EU welcomed the upcoming Global Conference on Cyberspace in The Hague in April 2015 and the annual Freedom Online (Coalition) Conference in Mongolia in May 2015." It was agreed that collaborative efforts will continue and to convene the U.S.-EU Cyber Dialogue again in approximately one year’s time in Washington, D.C. Further information available here. In May-2014, the BC expressed concern that the safeguards adopted to date for strings associated with regulated industries and professions was falling short, and that such strings remain susceptible to fraud and abuse by potential registrants who wish enrich themselves at the expense of the general public. GAC and NTIA had raised concerns regarding NGPC’s proposed implementation of Category 1 safeguards. It was therefore unclear how PICs could provide effective safeguards, given a registry’s ability to amend or revoke its PICs [Public Interest Commitments] and the lengthy, expensive, and adversarial process required to enforce PICs by the limited class of parties able to bring enforcement actions. abuse by potential registrants who wish enrich themselves at the expense of the general public. And the Obama Administration wants to surrender the US Department of Commerce (NTIA) contract and all oversight of ICANN--the scammers and other cybercriminals must be smiling! Of course when it comes to the new gTLDs program, ICANN was never interested in the public interest--it's all about the money--that's why we now have over 1000 new gTLDs being irresponsibly flooded into the domain name system (DNS). UPDATE: Preliminary Report | Meeting of the New gTLD Program Committee 11 Dec 2014: "... After discussion, the sense of the Committee was that it was not supportive of halting the contracting and delegating process for the strings identified in the ALAC Statement, but the Committee decided to engage as soon as possible with the ALAC to better understand their concerns about the PICs, and to discuss a path forward. The Committee decided to prepare a response to the ALAC to provide the rationale for its decision, and to take steps to begin a dialogue with the ALAC. Also, the Committee agreed to take steps to initiate a dialogue with the GAC to discuss its concerns with the PICs...."
see also: Domain Pro Spills Secrets for Getting a URL | Inc.com: "... What advice would you give to a startup founder trying to acquire a domain name that a professional domain-owner has in his or her portfolio? ... the No. 1 rule in domaining is open communications, because if you can't even communicate with the domain owner, you can't negotiate. Second: Have a list of names, branding and how you name your company. Having some options and doing a little variation can get you a far better value. Get prices on several options--and then you really have options. Another thing: If you're going to buy a [domain name ending in] .co [or ANY domain name extension other than .com] make sure you know who owns the .com. Know your competition before you step in. Are there trends to be aware of, price-wise? Premium names are going up. Middle-markets are going up, and lower-value names are going down...."
LeWeb is an international digital innovation conference - visionaries, startups, tech companies, brands and leading media explore today’s hottest trends and define the future of business. Full schedule here. LeWeb conference, Paris, 9-11 Dec 2014--UPDATE: Conference has concluded--Watch all LeWeb videos here. None of the dot Luxury domain names cited in the New York Post story above are being used "instead of, or together with “.com," while two are "available for registration" and more than one is registered by a registrant with no apparent connection to the "named brand company." Note to all the new gTLD proponents, hucksters, whatever--if this is the best the new gTLDs can do, they are in deeper trouble than even I imagined! As they say: Get Real, get honest, or go home! As for Ms. Kirchner, she might want to consider hiring a PR firm with a "fact checker." "The broader point is that even with more time, there is little prospect of finding an alternative through new governance rules, as some academics have suggested. Icann is a California nonprofit subject to the state’s governance laws. Its lawyers say this means the board must always be in charge: “The activities and affairs of a corporation shall be conducted and all corporate powers shall be exercised by or under the direction of the board of directors.” Ultimate authority by the Icann board means the stakeholders can neither control nor protect the board, whose members would be subject to pressure from authoritarian regimes. The current system works because the U.S. could give the contract to operate the root zone to another group if Icann ever gave in to demands for censorship or otherwise closed off the Internet. If Washington gives up the contract, there is no backup plan. "Mr. Strickling’s letter also fails to address a fundamental question: why the executive branch thinks it can act on its own. The Constitution says only Congress can transfer federal property, such as the Icann contract. The administration has not provided any legal argument to the contrary. Congress has voted unanimously to keep U.S. oversight and should block unilateral action by the White House. Over half of online ad impressions are not visible. 56.1% of all display ad impressions never appear on a screen. A small number of publishers are serving most of the non-viewable impressions. The average publisher viewability rate was 50.2%. The most viewable ads are vertical ones--the most viewable ad units are vertical ones (users scroll vertically down web pages). Ads that were 160×600 pixels and 120×600 pixels are viewable around 53% of the time. Ads 300×250 are viewable just 41% of the time, on average. Friday was supposed to be a "Big Day" for new gTLD Registry Rightside (domain name: rightside.co and stock symbol NAME ) on the NASDAQ. Rightside Group, Ltd. hosted its first Investor & Analyst Day event Friday, 5 Dec 2014, from 10:30 A.M. to 1:30 P.M. ET at the Nasdaq MarketSite in Times Square, featuring Rightside's management team members. In addition, CEO Taryn Naidu rang the Nasdaq Stock Market Closing Bell at 4:00 P.M. ET. The recorded webcast and accompanying presentation slides are at: http://investors.rightside.co/events (available through December 5, 2015, source: NASDAQ.com) UPDATE: presentation now posted here. 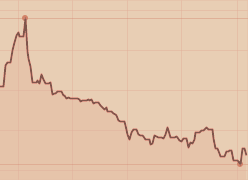 I didn't listen to the webcast but what was presented apparently didn't impress Wall Street analysts and investors because shortly after the presentation began, the stock started tanking and went "downside" for the rest of the day (see intraday chart screenshot above). I listened to the beginning of the recorded webcast before posting this and it sounded like Rightside's CEO tried to "sell" the investors and analysts on the concept and rationale and "benefits" ("the new gTLDs are all about branding") of new gTLDs--apparently the investors and analysts on Wall Street didn't "buy it." .com - Wikipedia: "The domain name com is a top-level domain (TLD) in the Domain Name System of the Internet. Its name is derived from the word commercial, indicating its original intended purpose for domains registered by commercial organizations. However, eventually... .com, .org and .net were opened for unrestricted registration. The domain was originally administered by the United States Department of Defense, but is today operated by Verisign, and remains under ultimate jurisdiction of U.S. law. Verisign Registrations in com are processed via registrars accredited by ICANN. The registry accepts internationalized domain names. The domain was one of the original top-level domains (TLDs) in the Internet when the Domain Name System was implemented in January 1985, the others being edu, gov, mil, net, org, and arpa. It has grown into the largest top-level domain." How big is .COM among all Top-Level Domain Name extensions? 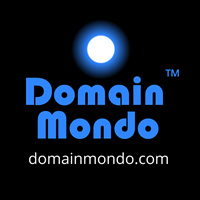 It is the one and only truly global Top-Level Domain, the gold standard against which all other TLDs (including ICANN's new gTLDS) are mere dwarfs. Meet ICONIQ cofounder Divesh Makan, consigliere to Silicon Valley’s brightest billionaires--already ICONIQ has full discretion over $1.4 billion in client funds and advises on another $7.6 billion. Makan, 41, has turned his otherwise run-of-the-mill registered investment advisory into an exclusive members-only Silicon Valley billionaires club that operates as a cross between a family office and a venture capital fund. His most famous client and the key to his success is billionaire Facebook founder Mark Zuckerberg, whom Makan met in 2004 when he was a broker at Goldman Sachs.... Makan shuns the title of wealth manager, according to those who have worked with him. He sees himself instead as part do-it-all financial consigliere, part deal broker/venture capitalist and part human Rolodex. Makan’s currency is access and relevance. While Silicon Valley stalwarts like Sequoia and Benchmark can point to a long list of successful IPOs and a deep bench of management experts, he hawks the “Zuck & Friends” brand to piece together deals...." read more at: The Spider Of Silicon Valley: Inside 'Zuck & Friends' Secret Billionaire Fund. Of course, new gTLD domain names monthly total "sales" (technically "domain name registrations") are affected by tactics such as "free giveaway" programs by registrars and registries of new gTLDs (if you can't sell them, give them away for free and hope the registrant-donees will renew the registration the following year), and also by registry-registrar-affiliate "land grabs" meaning wholesale speculation and warehousing of thousands of domain names by a registry-registrar or affiliates registering thousands of the best domain names in a new gTLD extension in a registry-registrar affiliate's name for speculative warehousing and resale at premium prices on the aftermarket--a practice that was prohibited in the past by ICANN, but which ICANN has now enabled and encouraged in its new gTLD registry and registrar agreements as is price-gouging of new gTLD domain name registrants in future years. ICANN really knows how to look after the global public interest! LOL! Anyway, November was just another new gTLD #FAIL. Remote Participation: To register and join the meeting remotely, please follow the link below. Once registered,you will receive a confirmation email with instructions for joining the meeting. f. Other sessions: best practice forums, dynamic coalitions, open forums etc. Comments on programme (main theme, sub-themes), structure (session types, schedule), logistics of IGF 2014 and lessons learnt. Introduction by the Secretariat of the results of the online survey and the summary of the submitted contributions. The December Open Consultations and MAG meeting draft agenda (also available in pdf version). Remote Participation: To register and join the meeting remotely, please follow the links below. Once registered,you will receive a confirmation email with instructions for joining the meeting.